Polyurethane adhesive occupies the top lines in the ranking of the best adhesives. It is used in many industries and is able to glue materials such as wood, metal, glass, ceramics and etc. To date, polyurethane adhesive is one of the best modern adhesives. It is used in many spheres of human activity, in particular, furniture production, construction, engineering etc. Polyurethane adhesive has a high adhesive ability, it can be used for bonding almost any material – plastic, metal, silicate and organic glass, wood, polystyrene foam, mineral wool, concrete, etc. 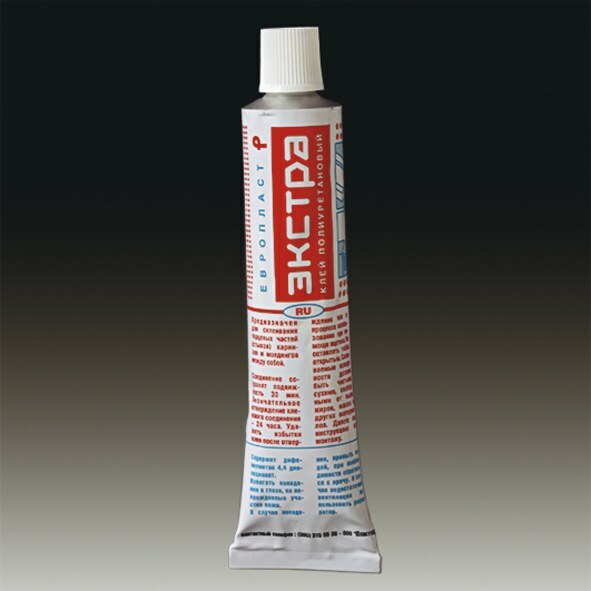 A feature of this adhesive is its ability to increase in volume during curing. Such a small podsinivanija allows the material to fill even the smallest gaps without displacement of connected surfaces. Adhesive bonding is resistant to extreme temperatures up to 40 °C. He was not afraid cryogenic temperatures, oil, petrol, water, radiation, and vibration. And due to the absence in the composition of the product odor and solvents to achieve maximum safety in operation and environmental cleanliness recycling. Adhesive bonding of polyurethane is resistant to mildew and pathogenic fungi. It can be operated in a wide temperature range from -60 to +120 °C. On sale are two types of polyurethane adhesives: one-component and two-component. As a curing agent for one-component adhesive is water, which simplifies the operation of painting equipment. Two-component material is produced by mixing these compounds, as polyol and isocyanate. The latter type of adhesive is simple and easy to use, and high viscosity indices provide an excellent initial adhesion. Isocyanato at interaction with atmospheric moisture produces a chemical reaction which produces molecular cross-ties, providing maximum strength of the connection. The adhesive based on polyurethane is indispensable when laying the parquet floor. For this, generally used two-component, solvent-free and water. Introduction to the composition of the adhesive hardener shortens the drying time of the adhesive film, increases the hydrolytic stability and adhesive strength. The consumption depends on the material and is 150-500 g/m2. Viability changes and varies from 1 to 4 hours. Polyurethane adhesive material has a color from beige to dark brown, and the strength of the adhesions under shear depends on the types of the connected materials and ranges from 2 to 26 MPa.